On Thursday 5th July students from CAT’s Part 2 Architecture programme took part in a special event at the Royal Academy of Arts in London to explore ‘the future of architectural education and practice’. Hosted and facilitated by Laura Mark, Architecture Projects Manager at the Royal Academy and herself a graduate of CAT, the event was attended by architectural educators, students and professionals from a wide variety of backgrounds. 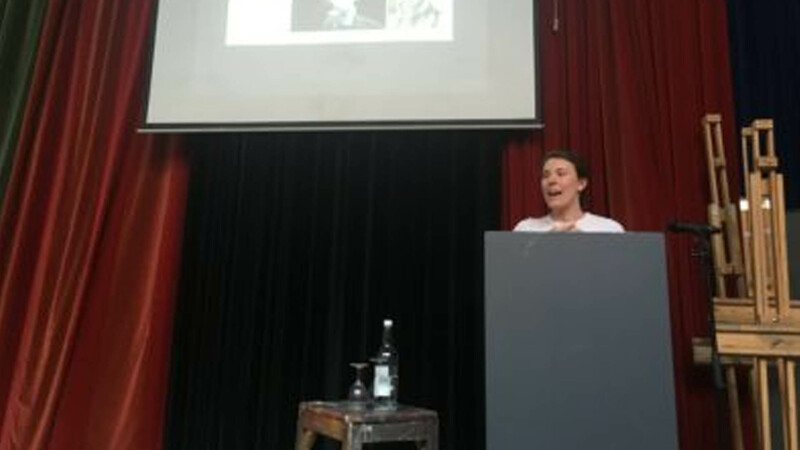 Gwyn Stacey, who graduated in 2017, spoke about the unique educational experience that CAT provides. Exploring the benefits of learning in the rural Welsh rainforest, against the backdrop of the rich cultural heritage of the world’s first industrialised nation, Gwyn looked at how the lessons learned in this context could be applied to the challenges we face today. One of the current big debates in architectural education is its relevance to work in practice. Gwyn spoke about how the hands-on nature of the teaching at CAT, as well as the constant evaluation of design work, helps align what is learnt in the classroom with real world issues faced in design and construction. Mental health is also of major concern for many architecture students, as revealed by a recent survey by the Architects Journal. Gwyn discussed how the course at CAT makes steps towards addressing these issues, supporting and nurturing a close knit family of students and building in time during the intense course for mindful reflection and relaxation. Lilian Tuohy Main, also a 2017 CAT graduate, spoke about her experience as a SPAB (Society for the Protection of Ancient Buildings) Scholar. She emphasised the importance of working with what we already have, and the increasing need to teach and work intelligently with our existing building stock. Exploring the importance of physically handling and working with building materials, Lilian argued that architects need to develop a tangible knowledge of construction, to help not only with the initial building phase but also with the future use and adaptability of a structure. Other speakers shared work being carried out all over the world, from Ethiopia to Columbia.